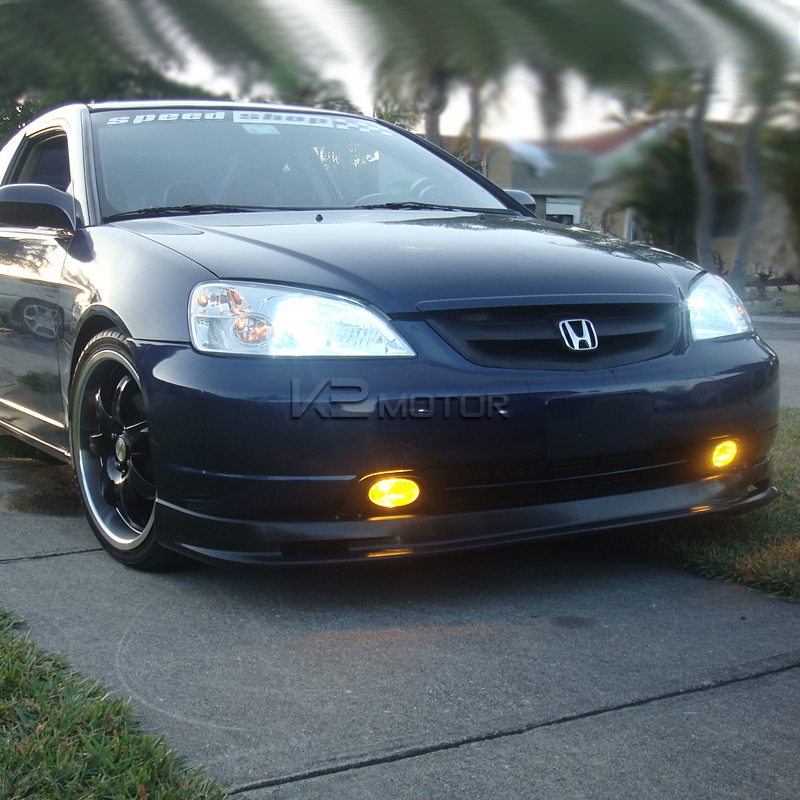 Shop online for your Honda Civic Fog Lights at K2 Motor. We Carry a wide variety of Fog Lights easy to install on your car. A brand new Pair of "OEM" Fog Lights kit for 01-03 Honda Civic Si 3Dr! These high quality fog lights are designed to enhance visibility during night time, dense fog, heavy rain & snow. These easy to install Fog lights are water proof and shock resistant. No modification or complicated wiring needed, easy plug & play installation.